Traffic Signs: Better Late Than Never! Why? Because people don’t tend to follow them. This photo was taken in the MRT. The 135mm F/2 Defocus lens is a hard animal to tame. It does take great pictures, but focus is a struggle. I’ve found that it’s best to operate this lens manually, as the autofocus is slow and unprecise. However, it does lead some great photos, like this one of my compact SRAM Red crank. Over the past week or so, customers have been admiring this new Pinarello Dogma 60.1 frame that was ordered for AH. AH had decided upon using a custom paint job thanks to Pinarello’s My Way customization scheme, which makes this frame stand out from the traditional Dogmas. He also ordered the Di2-compatible frame, which allows internal wiring of Shimano’s Dura Ace Di2 electronic shifting group. Rachel is pissed at Andrew. Brendon tells Rachel that this is part of a plan. Rachel doesn’t like that Brendon kept secrets from her. It doesn’t go over well with her. None of the HM believed Andrew’s speech. Matt talks with him. He tells him that no one bought his POV speech. Hayden doesn’t know why Matt nominated the two floaters. Andrew is pissed. Kathy is dumbfounded. She talks with Matt. He doesn’t believe what she is saying. Hayden and Kristen talk with Andrew. Hayden says that if he wins the POV, he will use it to get Andrew off. Hayden and Kristen do some smooching. A secret showmance. Laura is flip-flopping. She keeps wanting to leave. Marcus Bentley will go into the BBUK house. Jo tells Laura and Corin that she really feels good this morning. Laura and Corin are exhausted. Laura leaves and goes through the door where the mole hole used to be. She tells the crew that she can’t do it anymore. It’s the fire exit. She tells that she wants to go. It’s been an hour since Laura has left. The HM are unaware that she has gone. Did you just break the screen of you beloved iPhone? Annoyed at paying $200 to have Apple replace the screen? 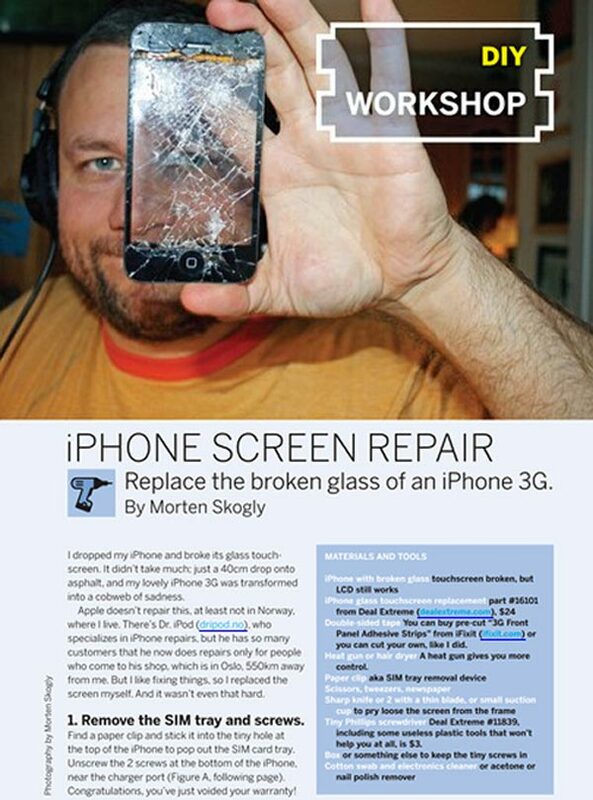 Well, Morten Skogly will give you the means to repair your screen yourself, DIY style.